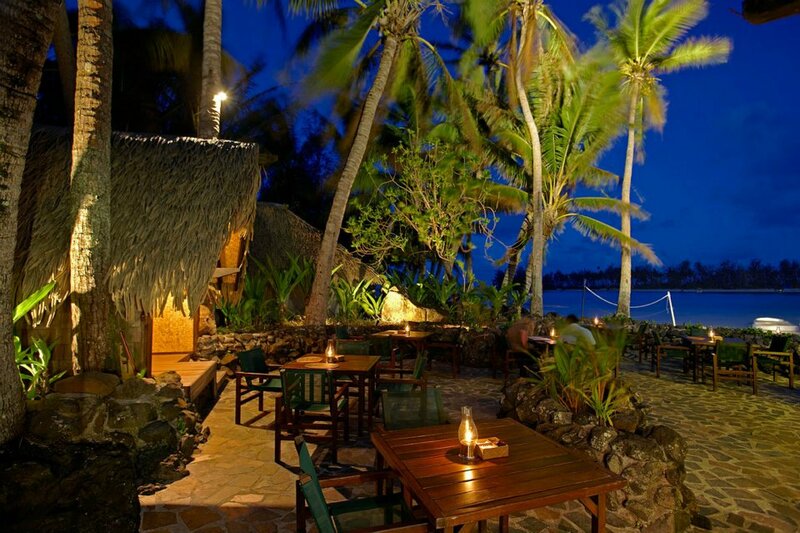 Muri Beach Club Hotel, Rarotonga, Cook Islands. Vacation Packages. 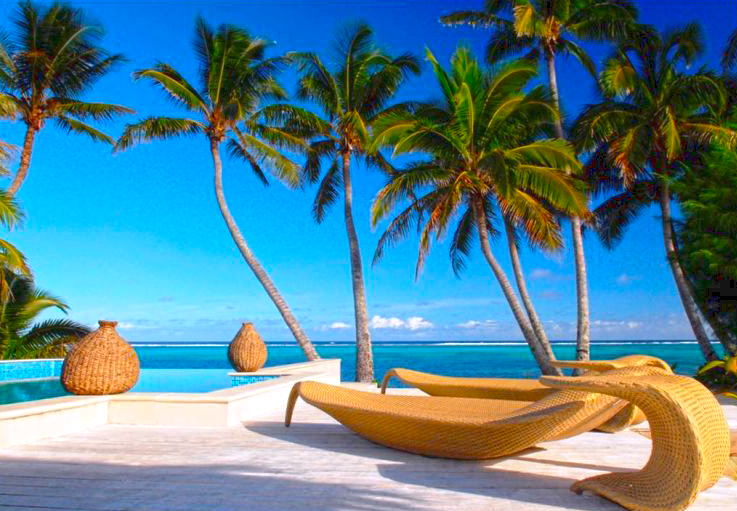 Aitutaki Lagoon Resort & Spa, Aitutaki, Cook Islands. Vacation Packages. 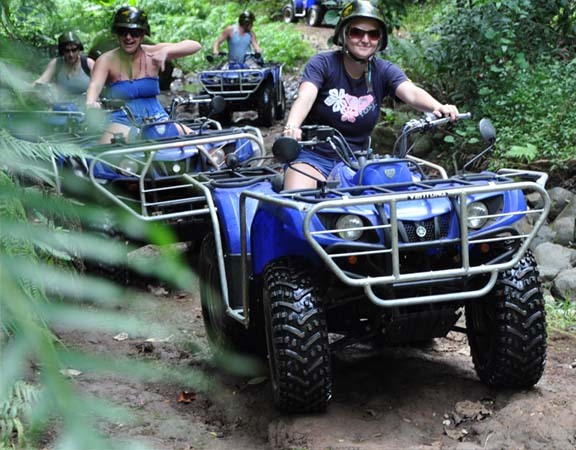 Activities: Rest, Relaxation, Kayaking, Canoeing, Walks, Sailing, Kite Surfing, Fishing, Snorkeling, Diving, Swimming, Motor Scooters, Site Seeing, Spa Treatments, Wine & Dine, Shopping, Culture & People. Shuttle Transfers - Rarotonga Airport to Accommodation (Return), Aitutaki Airport to Accommodation (Return) including Fresh Flower Ei Meet & Greet service on arrival. History plays a vital part in Aitutaki island life. And following the Maori migration, all remained pretty quiet until 160 years later in 1773 when the infamous Captain James Cook sighted the island in 1777. Aitutaki’s beauty is one that rivals Tahiti and the sorts. This is a perfect, breathtaking, relaxing sight to see of an island destination. Fly internationally from Los Angeles, USA to Rarotonga, Cook Islands. If you’re familiar at all with Air New Zealand you know about their funny safety videos that play on their actual flights. These videos have included famous people like Betty White, Richard Simmons, New Zealand’s rugby team “All Blacks,” and now thev’ve added to their guest appearance list Christie Brinkley, Ariel Meredith, Chrissy Teigen, Hannah Davis, and Jessica Gomes – some of world’s famous Sports Illustrated Swimsuit’s models! “Safety in Paradise!” is created as an actual safety video that will provide the safety instructions for passenger on Air New Zealand flights. It’s instructional and life-saving yet, “It may even have folks on the ground reaching for their oxygen masks!” – Christie Brinkley stated. When you watch this video you’ll be swept away in awe of the perfect beaches, brilliantly blue water, gorgeous tropical landscape and of course the exotic super models as they get the celebrity treatment from the Cook Islands natives. See the luau and feast, watch Ariel Meredith teach some local dancers how to twerk, and picture yourself there basking in this tropical paradise. 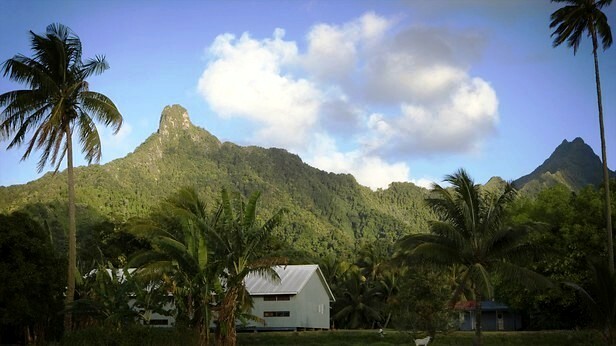 Spend 3 nights on the beautiful island of Rarotonga in the Cook Islands. Ridiculously romantic, this amazing resort and spa is located on the windless sunset coast of Rarotonga where 5 acres of botanical gardens and an endless icing sugar beach caress a sparkling blue lagoon to offer a private secluded haven for couples to frolic in uninterrupted space & unhurried time. Indulge. Candlelit dinners on the beach under a million stars allow you to get sand between your toes while you feast on exquisite, carefully orchestrated cuisine. The villas and suites present king bedrooms adorned with lavish textures in neutral tones that warm the soul – this place is sure to unleash your desire with the one you love. Enjoy pure indulgence with the finest full service luxury boutique resort nesting 36 stand-alone villas, onsite spa & beauty clinic, onsite dive centre, two world-class restaurants & bars, concierge, gymnasium, beautiful waterfall mineral pool and spectacular sunsets. 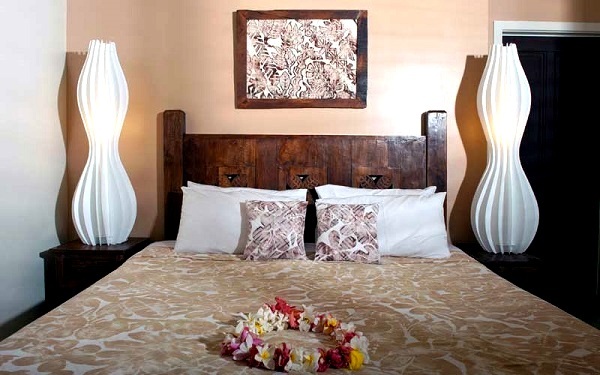 This amazingly resort and spa is your key for pure bliss and luxurious romantic salvation. 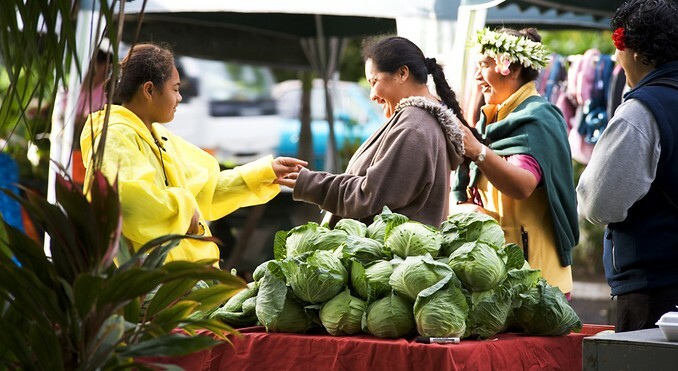 One of the Cook Islands more colourful characters will take you on a magical half day tour of the island, learning about its history, culture and native herbal lore. 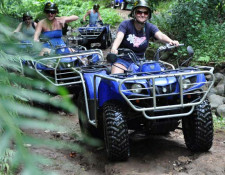 Pa’s Nature Walk is a less vigorous tour and is suitable for everyone. 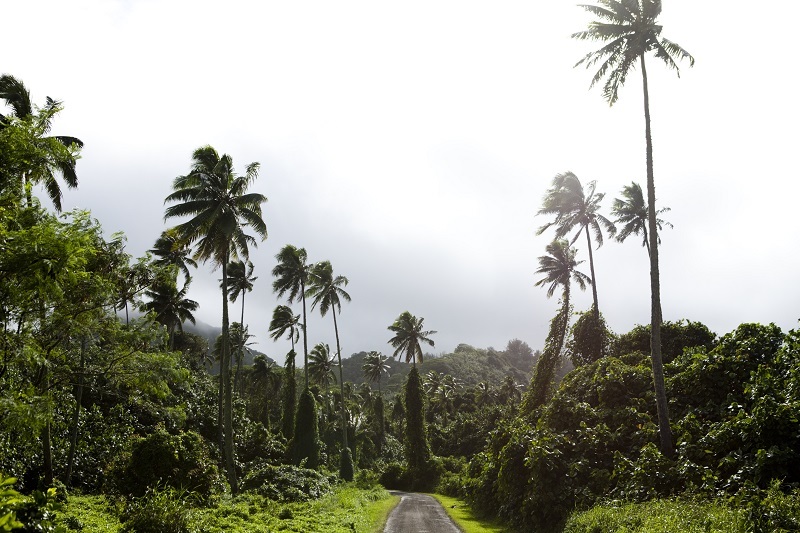 Pa takes you to the interior of the island, explaining the history and culture of his ancestors as well as explaining the many medicinal uses for the fauna and flora of this island. 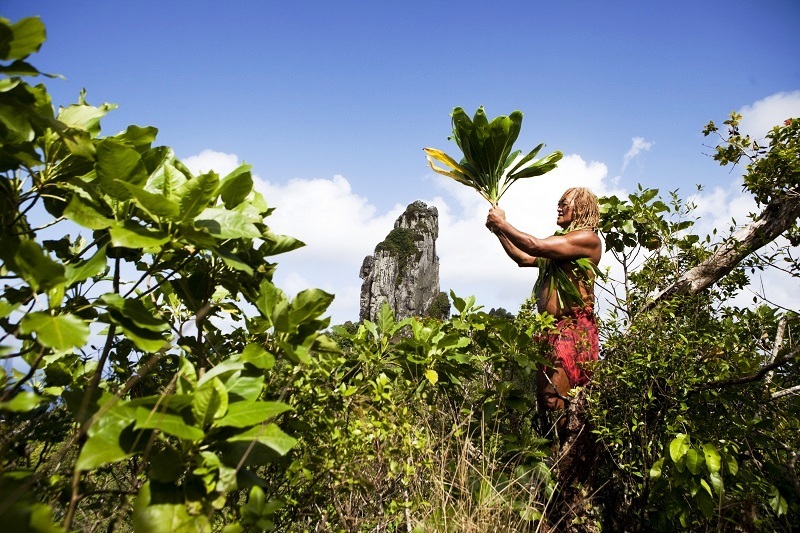 Learn about the local medicinal plants used by his ancestors. Referred to by many publications as ‘the South Pacific’s most famous experienced guide’, Pa will recite stories of wars, famines and great migrations as passed on to him by his forefathers. Most of the walk is over even terrain in lush Rarotongan rainforest and on open ground. Suitable for everyone. Remember to bring sturdy walking shoes, insect repellent and your camera. This is a half day tour. 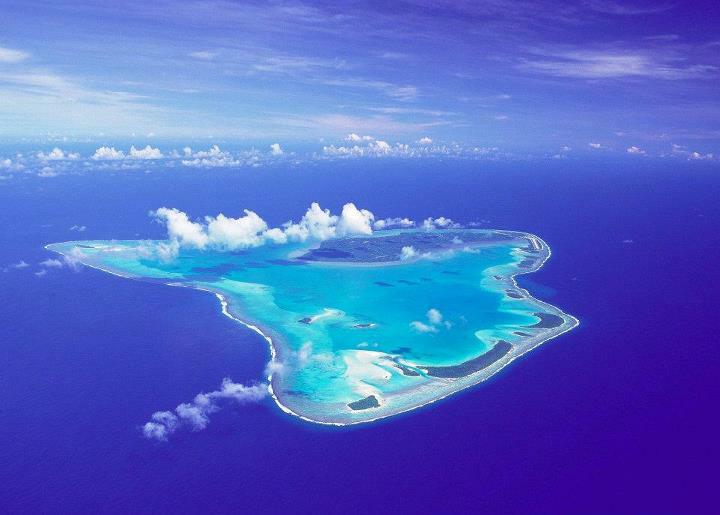 Fly domestically in the Cook Islands from Rarotonga to Aitutaki. 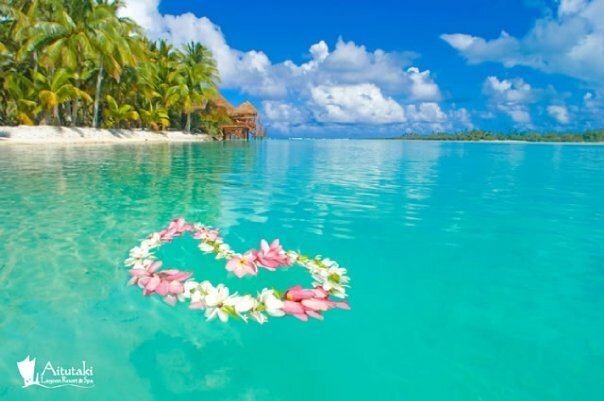 Spend 2 nights on the beautiful island of Aitutaki in the Cook Islands. Welcome to one of the world’s most secluded boutique island resorts – offering luxurious Aitutaki hotel accommodation. Surrounded by the crystal clear turquoise waters of Aitutaki lagoon, the idyllic atoll of Aitutaki is a magical destination. Explore the sights. Enjoy the sophistication of delicious cuisine, attentive high quality service and modern resort facilities. Discover true relaxation. With just 27 luxurious suites, villas and bungalows all situated within steps of the Pacific Ocean, this breathtaking resort is secluded and peaceful. 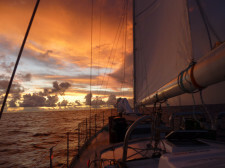 Enjoy a five star luxury experience in South Pacific style. Cruise Aitutaki’s magnificent lagoon aboard a unique Polynesian style craft. 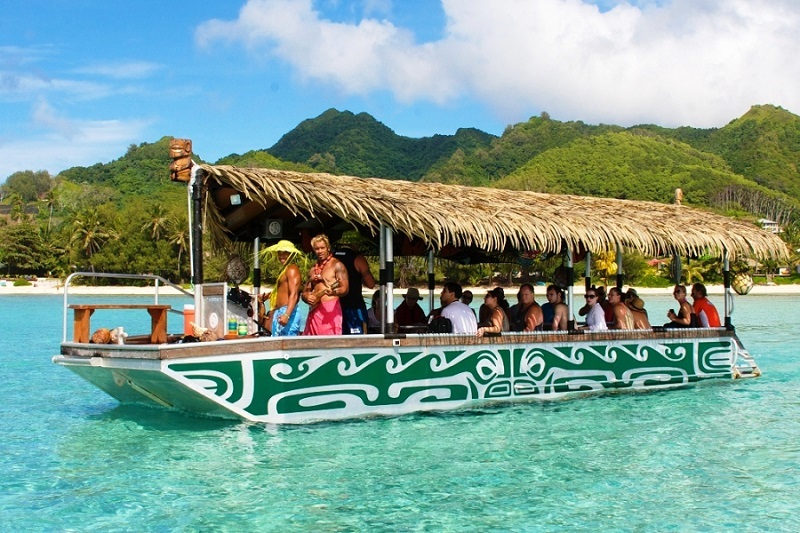 The 21 metre boat is a contemporary Vaka style with many similarities to the ancient Polynesian voyagers, but with some modern comforts. Every morning at 10am from Mondays to Saturdays, the sound of the conch shell signals the departure of the Vaka for six hours of lagoon magic. 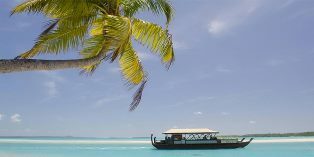 There’s snorkeling, swimming, and sunbathing to do before tucking into to an island BBQ lunch of fresh caught ocean fish served on board and accompanied by a full bar service. Visit several motu (small islets) and beach comb at One Foot Island before returning past the old TEAL flying boat base. 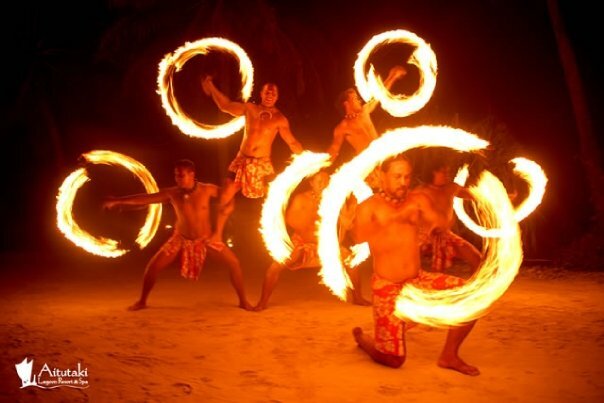 Impromptu entertainment by the crew will have you tying pareu, weaving coconut leaf plates or humming island tunes. They are always happy to provide snorkeling lessons for first timers. 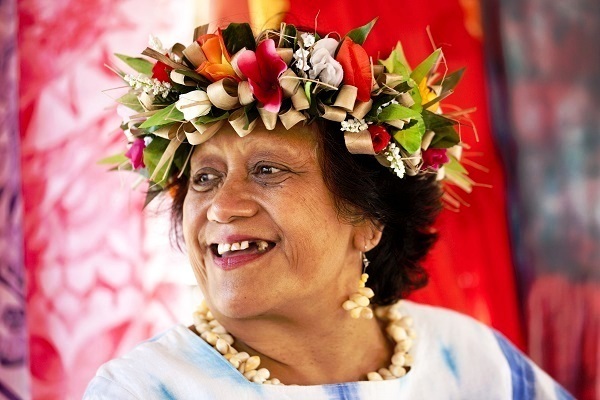 Fly domestically in the Cook Islands from Aitutaki to Rarotonga. Fly internationally from Rarotonga, Cook Islands to Los Angeles, USA. Land Content Only $2,710 $4,494 International return flights from the USA are not included. Please see detailed itinerary (above) for more information on inclusions. Itinerary can commence any day (subject to availability). Business Class $5,130 $6,913 Business Class International Return Flights from the USA (Los Angeles) are included. Subject to Availability.